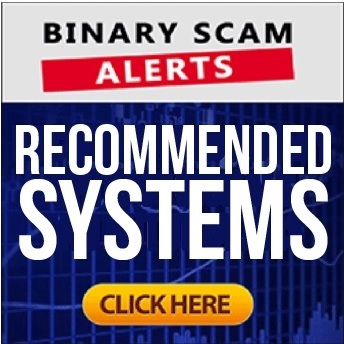 Binary Scam Alerts » Cryptocurrency Scam Reviews » Altcoin Trends Review, Altcoin Trends SCAM Exposed! The Altcoin Trends software and trading robot by Andrew Frost is BLACKLISTED and with good reason. In our detailed and factual Altcoin Trends review, we will produce all the evidence and proof required to validate our initial assertion. The Altcoin Trends scam was bought to our attention after receiving a fresh flurry of complaints and grievances from some of our members. It appears this new get-rich-quick crypto scheme is extremely misleading and deceptive since it exploits the the recent surge of cryptocurrency hype in the most cynical and unethical way. In addition, we have learned that the affiliate marketers operating behind the scenes are conspiring against you with rogue offshore brokers in what is commonly referred to as a revenue share scheme. This means the online promoters refer customers, the brokers steal their money, and then the loot is split. Another troubling aspect with Altcoin Trends is that it is a complete clone and replica of another crypto scam dubiously named the Bitcoin Code. This fake crypto app is directly responsible for defrauding and cheating thousands of opportunity seekers such as you looking to cash in on a legit or genuine crypto bot. Keep reading our detailed and impartial Altcoin Trends review to see how we exposed these crooks and why we believe this system is a confirmed financial scam. Below you will find the Altcoin Trends main sales page and testimonial section. It’s fair to say that not one single testimonial is real or genuine and they are all confirmed and double checked to be fake. See for yourself, Amy Payne can be easily found on ShutterStock as she is an image bank actor. We can also produce similar proof for Leo Schmidt and Seth Hodges. He is the CEO and the person behind Altcoin Trends. He claims he started Altcoin Trends in 2011 with a mission to “exploit” and make money through the new niche of cryptocurrencies. He states that he tried all the auto trading, strategies, and signals systems available with little or no success. Frost gathered the best BlockChain experts and crypto analysts in the world in order to develop a consistent money-making software. Aside from that, there is not much information provided about who he really is or what is his professional background. In other words, its a fictitious character designed to lend an aura of legitimacy to a fake app. No matter who you are, “or how you found this page, I’m about to give you free access to the most powerful trading software in the world.” That is how the sales presentation begins, and it continues with the same type of hype we have all become accustomed to hear. And it continues! Now its your turn to make between $1,350 to $3,700 every day for the rest of your life. He claims it has a 93% accuracy rate, which is not possible since it would make everyone using it an instant millionaire. Additionally, these crooks say there are no risk involved (see proof below), and that is NOT POSSIBLE and a complete fabrication. Altcoin Trends integrates with large financial databases from across the world with access to Blockchains since 2009. Hence, it has the ability to recognize patterns and increase or decrease of value of leading cryptocurrencies. Frost claims the algorithm was developed based on demand within the exchanges and public ledgers repetitive patterns or trade suggestions based on repetitive market trends. They claim it is free because only when his partners make money he does to. That is a lie, it will cost you at least $250 to get started with this crummy app and that money will be charged to your credit card by rogue offshore brokers looking to fleece your wallet. What we are witnessing here is a bona fide crypto scam. We have all the obvious tell signs such as fake testimonials, hyped up and exaggerated claims of easy money, inflated bank accounts, and just lies and half truths. The narrative is a total replica from the binary options scam scene, so don’t fall prey and be the next victim. The ones to watch out for are Bitcoin Lopophole and Ethereum Code. We have seen a few fake Altcoin Trends reviews and we know exactly who is behind the “honest” review sites endorsing this fraudulent software. Be advised, these are unethical affiliate marketers who are getting paid to write favorable reviews so don’t take the bait. There are hundreds of systems being launched on a daily basis, and most of them are worthless apps designed to drain your wallet and empty your bank account. However, once in a while a genuine piece of software is released and that is where we come in. Our recommended section features the most consistent and highly profitable cash producing trading apps. Feel free to check it out. We have written about regulation and how choosing a regulated broker does not guarantee you will be able to profit and cash out. The brokers our systems use are tested on a daily basis and can’t afford to make mistakes so they ALWAYS payout. The Altcoin Trends SCAM by Andrew Frost is completely blacklisted. This is a fake and fraudulent automated crypto app (AKA Crypto Robot) which is malicious, thieving, and crooked. The affiliate marketers peddling this filthy crypto app is a well known fraud ring and very well-known in the online trading industry. These fraudsters specialize in credit card fraud, identity theft, tax evasion, SPAM email marketing, and money laundering. We urge you to avoid the Altcoin Trends scam software at any cost and never click on any links if you were invited to join it. In light of all the damning proof and evidence our staff of researchers was able to produce, we are forced to blacklist the Altcoin Trends by Andrew Frost and recommend our members and viewers seek alternative investment opportunities. Don’t forget to check out our Facebook page and subscribe to our YouTube Channel.